The 18th Stroud Short Stories event will take place on Sunday 19 May 2019 at 8pm (doors 7.30) at the Cotswold Playhouse, Parliament Street, Stroud, GL5 1LW. We are still open for your submissions but close at 23.59 (one minute to midnight) on Sunday 31 March. We have a theme this time. It's Incendiary! - in line with the exciting exhibitions and events taking place in Stroud this year. So we are looking for stories about fire, heat, passion, anger, burning, incineration, insurrection, revolution, large or small acts of rebellion, explosions, inflaming the senses. Please think of these themes as widely as possible - both metaphorically/emotionally as well as literally/actually. We are looking for well-crafted and engaging short stories, which will entertain, excite and inspire our audience. As ever, the dark, the ironic and the funny are very welcome. And, of course, it's free to submit. My co-judge (for the third time) will be brilliant short story author/novelist Ali Bacon. We will select ten stories to be read by their authors on Sunday 19 May at The Cotswold Playhouse in Parliament Street, Stroud, GL5 1LW. Doors open at 7.30. It starts at 8.00. There is a bar! We are delighted to be holding our event at this brilliant venue. As you may know, we were asked to leave the SVA after seven years because we had "outgrown" it. 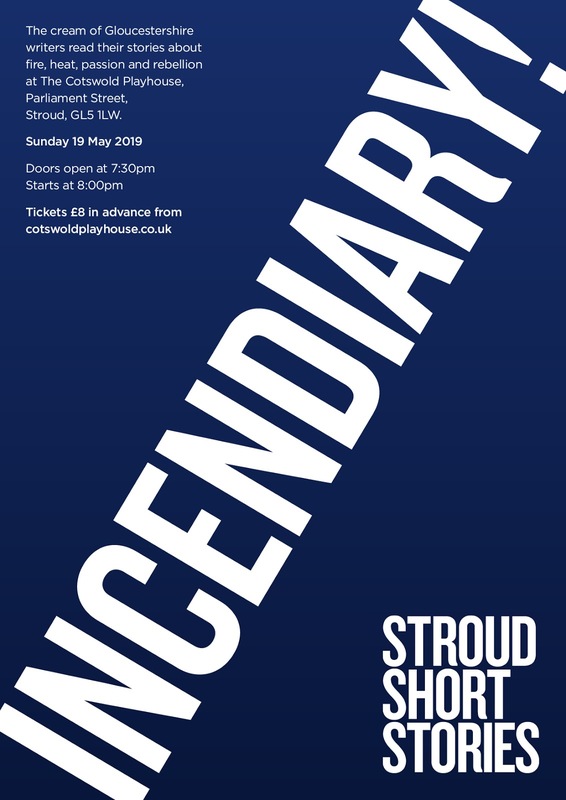 So having completely sold-out the SVA's 70-seater room in advance twelve times in succession (in May in less than six hours), we are hopeful that the Cotswold Playhouse's 150 seat auditorium will allow everyone who wants to attend to be there. TICKETS, priced as usual at £8, will be on sale on the Cotswold Playhouse website - https://www.cotswoldplayhouse.co.uk/ - from Friday 12 April.